Napoleon and Nelson must be turning in their graves. Two defence treaties are to be unveiled: one on greater general military co-operation and the other on nuclear weapons. 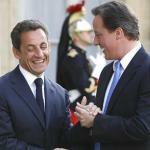 These deals, creating a new and supposedly faster and improved joint Anglo-French intervention force, are to be signed by Mr Cameron and Mr Sarkozy at a summit in London today. 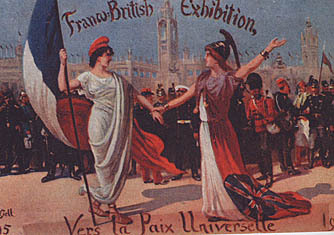 This is undoubtedly the core of the Anglo-French military co-operation treaty. It will gather 6,500 troops from the two countries under a 50-year deal for closer military co-operation. These will be used for missions ranging from humanitarian relief work to full engagement operations. They will include units from the Parachute Regiment, the Royal Marines and Special Forces, as well as their French counterparts. When the force is deployed, it will have a single commander from one of the two nations. In other words: British troops will be taking orders from a Frenchman, and vice versa. Funny isn't it! Just a practical question: will all French and British officers be required to be bilingual (given the fact that their men obviously won't be)? It may be (very) useful in avoiding misunderstandings during operations. British Joint Strike Fighters could soon be seen on France's Charles de Gaulle aircraft carrier! This is no joke: British and French planes could be flying from each other's aircraft carriers before the end of the decade. 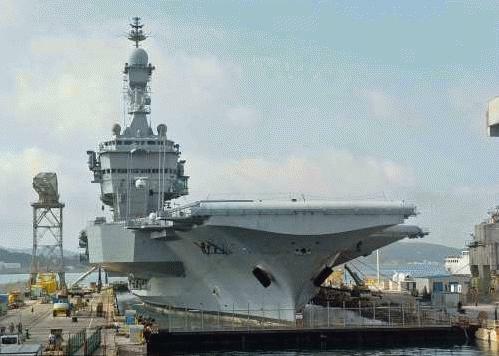 I wonder whether David Cameron knows that the Charles de Gaulle aircraft carrier is said to be“hydrophobic " given that it has been docked so often that the French press has been debating whether the carrier was afraid of deep water. The plans will combine the work testing nuclear warheads conducted at the Atomic Weapons Research establishment at Aldermaston, in Berkshire, and at its French equivalent at Valduc, in Brittany. There will be an“exchange of knowledge” between French and British nuclear scientists, implying that they may well be revealing their nuclear secrets to one another. Why have these treaties come about? As France and England want to be global players but increasingly lack the resources to remain, it is necessary for both of them to co-operate more closely on defence. The ever-increasing terrorist threat (for instance Ben Laden's videotape threatening to kill French citizens last week) may have convinced both governments to maximize their military power. Moreover, it is no longer a secret : Britain and France have to make huge savings., both urgently need to reduce their colossal budget deficits. The UK government recently announced cuts to its armed forces, and as a result , it is excepted to save £750 million over four the next four years by cutting the number of warheads. Is it a revolutionary agreement ? What about national sovereignty ? The main question for all patriots undoubtedly is: will their country fall into the hands of the "Perfide Albion" or the country of "Cheese-eating surrender monkeys" which "signed an armistice with Hitler" (not surprisingly : expressions copyright The Daily Mail) ? Although the UK has always refused to be part of any EU-led military forces Euro-sceptic David Cameron agreed to sign a bilateral deal with France. Nevertheless, Defence Secretary Liam Fox insisted that the deal to pool resources would not lead to a loss of sovereignty. He told the BBC: "There is nothing in this treaty that restricts either country from acting where we want to in our national interest”. French Defence Minister Hervé Morin went further by saying that partners would "disengage" in "a conflict where our respective interests diverge". Indeed, each country will retain a veto for each operation, which will operate under one military commander to be chosen at the time. In a nutshell : a historic military co-operation which respects the sovereignty of each country. Everyone's happy then...But for how long?